Maryanne Johnston is one of Scotland’s most respected communication skills experts. She coaches professionals from all walks of life who need to get their message across—whether a big speech, a small presentation or an informal meeting. Good spoken communication can be very effectively supported with clear visuals. I’ve worked closely with Maryanne for a number of years, improving both the visual aspects of her own training materials and the presentations of those she coaches. Maryanne was looking for a piece of collateral which could be left with participants after a training session, as a handy reminder of the key points covered. I suggested a Z-Card—a credit card sized fold-up booklet which can comfortably be kept in a pocket or wallet. Feedback from clients has been extremely positive, with many referring to the notes when preparing to present. 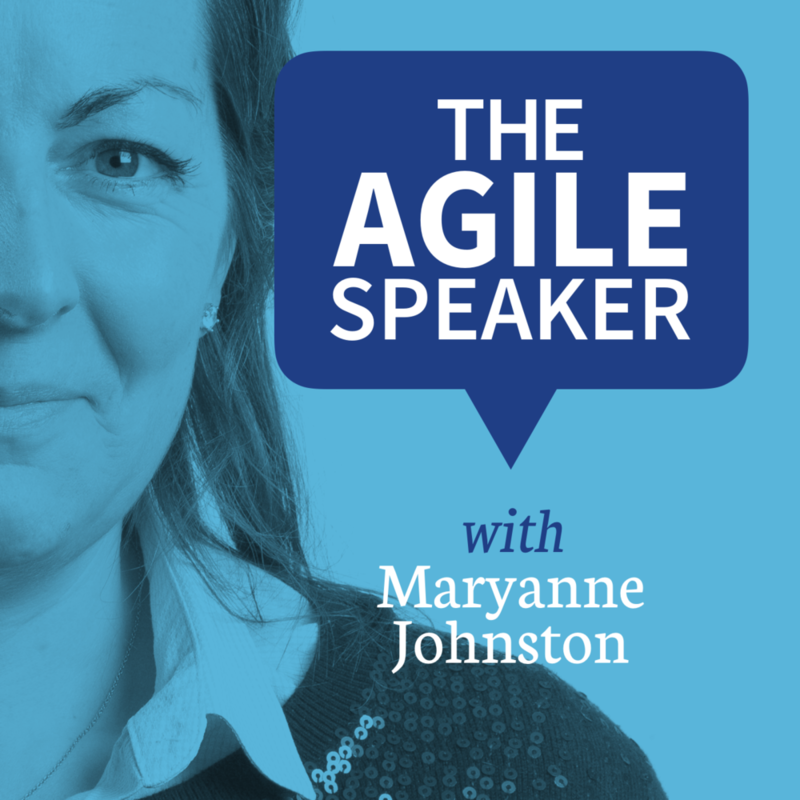 The Agile Speaker is a five-part podcast series where Maryanne talks through her unique approach to public speaking. I was asked to consider the cover artwork, which needed to remain clear and punchy when viewed at a small size on a mobile device. In her workshops, Maryanne makes use of a number of digital and printed visuals. These needed a clear design and unified look.